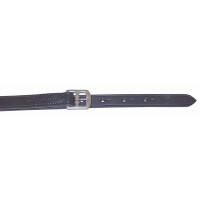 These well-made leathers have embossed numbers below the holes to make it easy to remember your comf..
Quality Black Stirrup Leathers with "Bling Insert". 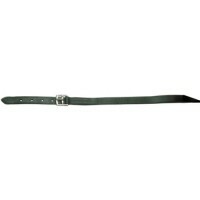 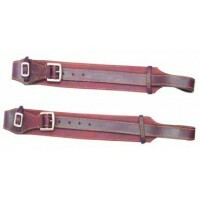 Available in 1"x 50" (Childrens) and 1 1/8"x 56"..
Stirrup Leathers - Childs 1" x 42"
1" wide leather stirrup straps in 42" childs. 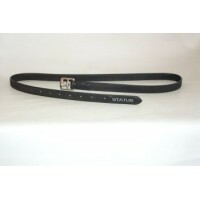 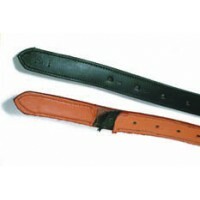 Black or Brown..
Stirrup Leathers - Childs Show 1" x 48"
Childs top quality leather with numbered holes and stainless steel buckles. 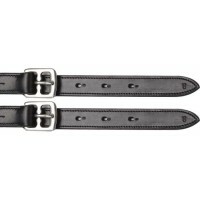 1" x 48" in Blac..
Stirrup Leathers - Nappa 1"
Exquisite 1" soft nappa leather. 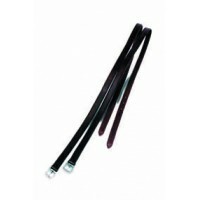 46" or 56" long in Black or Brown..
Stirrup Leathers - Plain 1 1/8" x 56"
Tried and proven, value for money sturdy stirrup leathers. 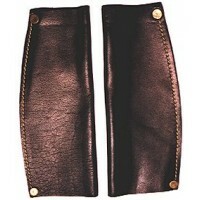 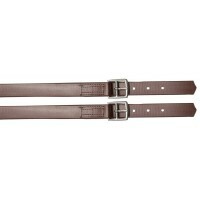 1 1/8" x 56" in Brown or Black ..
Stirrup Leathers - Plain 1" x 50"
Tried and proven, value for money sturdy stirrup leathers. 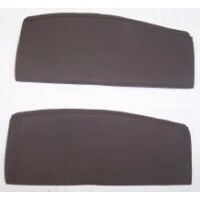 1" x 50" in Brown or Black..
Stirrup Leathers - Stitched Aintree 1" x 56"
Stirrup Leathers - Stitched w/ Nylon Insert NP 1" x 56"
**The Pictured leather has been opened to show the nylon insert and come in a dark brown leather ** ..
Stirrup Leathers - Stitched w/ Nylon Insert SS 1" x 56"
Finely stitched turnout leathers made from the finest quality drum dyed leather. 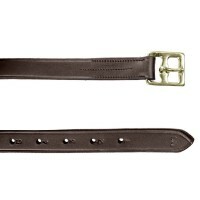 A layer of nylon ha..
Stirrup Leathers - Stock Drum Dyed 1 1/4"
Strong and sturdy with solid brass buckles and a Stainless Steel tongue ensuring a very secu..
Stirrup Leathers - Stock Stitched Brass 1 1/4" x 58"
Solid 1¼" wide fully stitched leathers with solid brass buckles that are suitable for all stock s..
Stirrup Leathers - Stock Stitched NP 1 1/4"
Solid 1¼" wide stitched stock leathers with N.P. 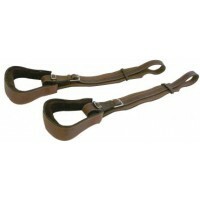 buckles that are suitable for all stock saddles.&nb..
Stirrup Straps - PP 36"
Strong Polypropylene Stirrup Leathers are design to suit the STATUS Saddles, but may be used on ALL ..
Stirrup Straps - PP 56"
Stirrup Straps - Status PVC 1" x 56"
Adult leathers that are perfect for GP, Dressage or Endurance saddles. 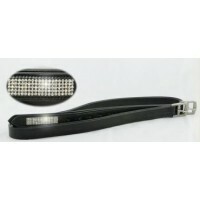 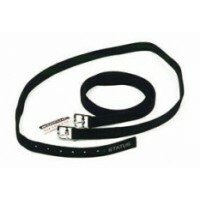 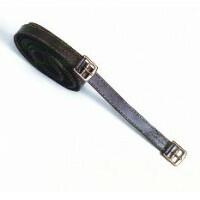 Stainless Steel buckl..
Stirrup Straps - Stock PVC 1 1/4"
Strong & sturdy 1 1/4" PVC Stock Leathers. 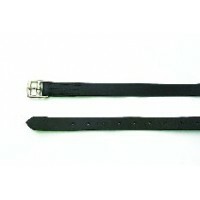 Black or Brown..
Stirrup Straps - Stock Synthetic 1 1/4" x 55"
SFL leather look alike with stainless steel buckles - for stock saddles. 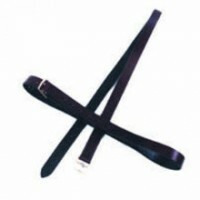 28mm x 139cm (1 1/4..
Stirrup Straps - Synthetic PVC 1" x 56"
Super strong nylon fibre encased in sturdy PVC Black Synthetic Stirrup Leathers. 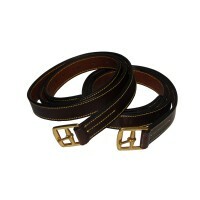 Ideal for any sa..
2.5"wide stitched leather stockman fenders which taper to 1" at buckle. 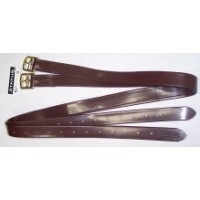 Brown..
Leather Stockman Fender with yellow stitching 2.5" wide which taper to 1" at buckle with leathe..
Plainsman leather 2" quality fenders with brass buckles..